Bvlgari Omnia Crystalline Perfume For Women. Bvlgari Omnia Crystalline perfume encapsulates the vibrant essence of crystal with delicate and glistening floral and aquatic notes. 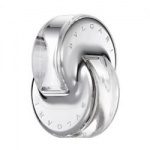 Bvlgari Omnia Crystalline perfume is a deliciously fresh fragrance for women with light crystalline notes over a fresh aromatic floral base. 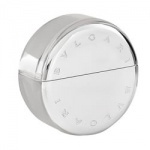 Bvlgari Omnia Crystalline contains a luscious mix of fragrance notes, such as bamboo, nashi (an Asian fruit with unusual flavour like a cross between pear and apple), lotus blossom and balsa. This gives Bvlgari Omnia Crystalline a unusual and beautiful aura that is light and delicately sensual without any heady overtones.